Little, Brown didn't have a a blogger event for YA bloggers like HarperCollins and Simon and Schuster did, but their booth at BEA was definitely a happening place, and I found a TON of fantastic books (some I was lucky enough to get, others I am eagerly anticipating). So, here we go! One of the books that I absolutely, positively NEEDED to find (if it was there) was Sara Zarr's How to Save a Life . I was so moved by Once Was Lost a few years ago, and about a week before I went to New York I listened to a radio show where Sara was a guest and talked about How to Save a Life. The basic, bare bones premise: a story told by two girls, one a teen trying to convince her mother NOT to adopt a baby in the wake of her father's death, and the other the pregnant teenage mother. It just really grabbed me because my own siblings are all adopted, and the title, How to Save a Life, reminded me of an experience my family had during the adoption process, because my parents really did save my siblings' lives. Now, I don't know how it pertains to the book, but there was enough of a personal connection there to make me want this book desperately...and lucky for me I got the very last copy! 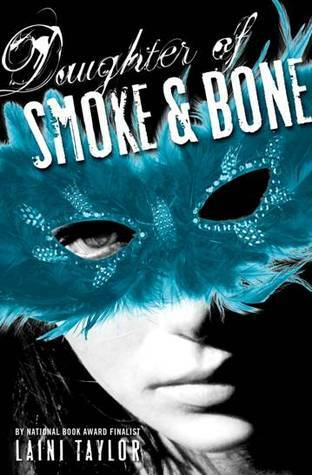 The second book I was desperate for was Daughter of Smoke and Bone by Laini Taylor. If you haven't read her book Lips Touch, a National Book Award finalist, then go pick it up NOW! Laini's writing is so quirky and unusual and beautifully written, it reads like poetry! Lips Touch was three novellas, so I am so excited to see what she does with a full YA novel. I can't wait to start this one! The Rivals is the sequel to the book The Mockingbirds , which was one interesting and important book that used the book To Kill a Mockingbird in an innovative way. I thought that The Mockingbirds wrapped up pretty well at the end, but I won't protest a sequel! It'll be interesting to see where this one goes! Why We Broke Up was also a big one a lot of people were buzzing about! Written by Daniel Handler (aka Lemony Snicket...see, NOW you know who I'm talking about), this one is about a box of things that explain the story of a relationship, and why it ended. I like the concept of using mementos of a relationship to tell a story, so I think that it will be an interesting book. 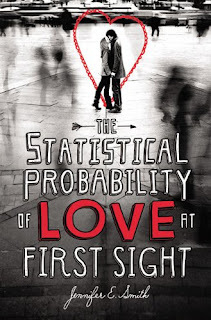 Another one that I simply adore the looks of, and want very much, is Jennifer E. Smith's third book, The Statistical Probability of Love at First Sight . You can't tell me that isn't a rocking title. And it only gets better: Hadley is four minutes late for her flight to London, where her father is getting married to a woman she's never met. Oliver is on the next flight. They're sitting right next to each other. Oh my word, I want this book so badly. 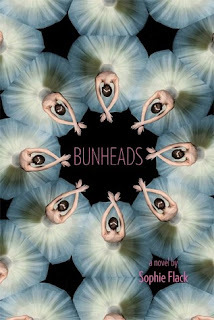 Bunheads is another novel that looks pretty interesting. It's about a dancer in the Manhattan Ballet Company, and her struggle balancing her demanding career with a romance...and deciding if dancing in the company is something she really wants. I had a friend who was a dancer, so I've seen just about every ballet movie you can imagine, and I think that this would be a fascinating book! I can't wait to read it! A.S. King is an amazing writer. 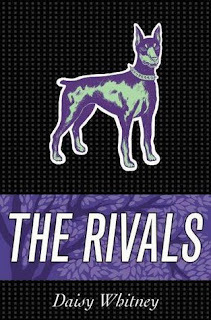 She's written The Dust of 100 Dogs , an unusual and gripping book about reincarnation and one girl's life as a pirate, and Please Ignore Vera Dietz (a Printz Honor book), which was one of the best books I read last year (and also made me crave pizza a lot). I am so excited for her next one, Everybody Sees the Ants , about a guy who starts dreaming about his grandfather's experiences in Vietnam. Intriguing, right? A.S. King has a talent for taking the most unusual subjects and making them fascinating! And the little teaser excerpt I read was so good! What book do you think you are looking forward to the most? I was at BEA too. 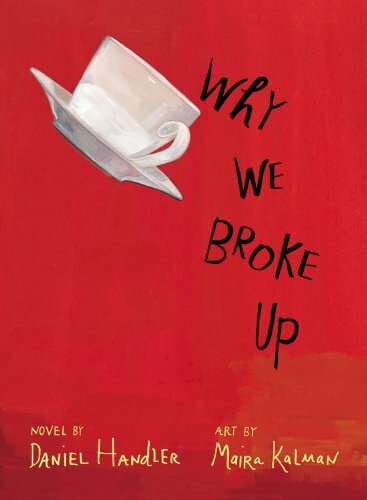 I didn't get the WHY WE BROKE UP or the love at first sight book, but now I wish I had! Sounds like you got some great books. 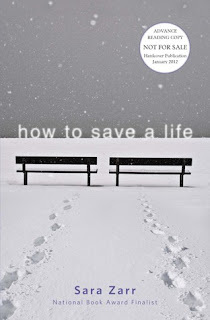 How to Save a Life looks cool, it sounds like one that could be a little heavy, or controversial. And I'm not gonna lie, I danced as a teen so I'm always a sucker for ballet books. Bunheads will probably be a definite read. Excited to see what your reviews of everything will be. I cannot just pick one from your list! 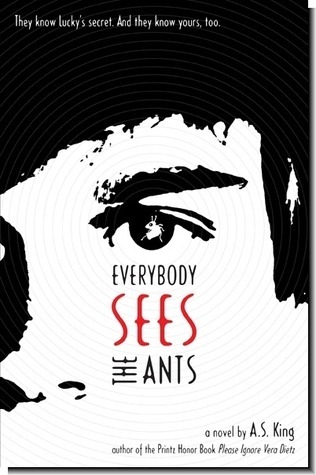 I'm looking forward to at least three that you've listed here: The Rivals, The Statistical Probability of Love at First Sight and Everybody Sees the Ants. I'm dying over Statistical Probability of Love at First Sight! I was lucky enough to get a copy of "The Statistical Probability of Love At First Sight" a few months ago ... it was just as incredible as the title! And I'm definitely looking forward to "How To Save A Life." You give so much great information about upcoming books! Thank you! Interview with Terra Elan McVoy! Contest: Win a Copy of 13 Reasons Why! Guest Blog from Nova Ren Suma! Guest Blog from Janet Fox! Win a Copy of Ruby Red! This Is Teen Launch Party!